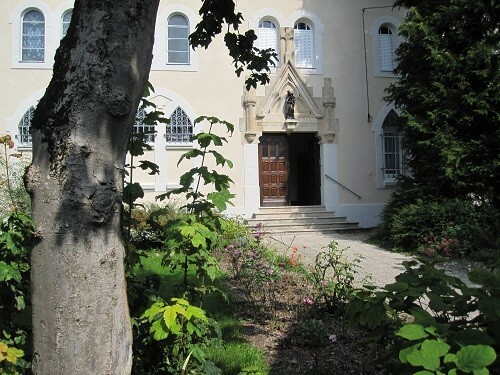 Details are emerging of an incident which took place in Verdun, France, last Friday (November 10th), during which two men entered a Carmelite monastery, asked to see the chapel and proceeded to disrupt evening prayers by praying aloud in Arabic, warning the nuns present that they must convert to Islam. French daily, L’Est Republicain, quotes the Bishop of Verdun, Monsignor Jean-Paul Gusching as describing how the two men, of approximately 30 years of age, engaged one of the nuns at the reception of the monastery just before 5pm last Friday evening. When the Carmelite sister explained, after a short discussion, that she had to attend the office of vespers, the men asked if they could be present, to which the nun agreed. The request in itself would not have appeared unusual; home to ten cloistered nuns, ranging from 36 to 84 years of age, the community often welcomes visitors wishing to join them in prayer. Once inside the monastery grounds, however, and within the small chapel where the nuns were gathered, the two men proceeded to pray aloud in Arabic, ‘’presenting themselves are harbingers’’, according to the bishop, and warning the nuns that if they did not convert to Islam, they would be going to hell. Following the bizarre encounter, one of the men wrote ‘’Allah Akbar’’ in the monastery’s visitor book, before the pair exited the building, L’Est Republicain notes. Although no physical violence took place during the incident, the nuns were ‘’deeply shocked’’ by the event, according to the bishop, adding that the incident was reported to police, with two arrests being made the following day. The future intentions of the men not being known, fears have been expressed over similarities with the attack at Saint-Étienne-du-Rouvray, Normandy, on July 26th, 2016, when an 85-year-old priest, Father Jacques Hamel, was assassinated by two Islamic State knifemen on the altar of his parish church during morning Mass. The assassins had entered the church screaming in Arabic, taking parishioners including two nuns hostage, and brutally slitting the throat of the much-loved priest before police arrived on the scene. As recently as early October, a man interrupted weekday morning Mass in the city of Nantes, brandishing a gun and threatening the parish priest in front of a hundred parishioners. Following last Friday’s incident in Verdun, the two suspects, one a recent convert to Islam, have appeared in court on charges of aggravated assault, the violence of the crime being psychological in nature and carrying a maximum sentence of three years in prison. The two men will be tried on April 28th, 2018. The public prosecutor is not pursuing charges relating to terrorism, French media are reporting. Contacted by the Gateway Pundit, the nuns wished to avoid further publicity, pointing instead to articles which have already appeared in the French press, including one which discusses the widely held belief in Salafist Islam that Muslims are authorized to proselytize, as prophets, to non-believers. The Archbishop of Mosul (Iraq), Monsignor Amel Shimoun Nona, ominously wrote in 2014, ‘’Our suffering is a prelude to what you, European Christians and westerners, will suffer in a not so distant future’’, as he predicted that a naïve, western view of Islam would guarantee European Christians a similar fate to those of his own country. ’’What’s happening in the Middle East will happen in Europe”, the Syrian bishop warned. Given the current climate, there is a certain uneasiness amongst French Catholics that these warnings may not be as outlandish as they would once have seemed.